As France prepare to host millions of visitors at the Euro 2016 Football Championships, a state of emergency has been extended in the country as it faces its largest protests in recent history. While in Paris in mid-April, I had conversations with a number of mostly older, leftist intellectuals: professors, publishers, editors and writers. These are men and women who historically have had close ties and involvement in the labor and social movements. I also went to political protests and attended a socialist meeting. Here are my impressions, just impressions of a few days in Paris. The following piece was written for Kojkkino, the theoretical magazine of the Greek organization DEA. Though quite long, it does not claim to cover all sides of the question. Indeed, it’s the kind of article that is never really finished and that has to be constantly reworked and supplemented. Its main objective is to stimulate collective thinking about the lessons of the successes and failures of the NPA from its birth to the present day. 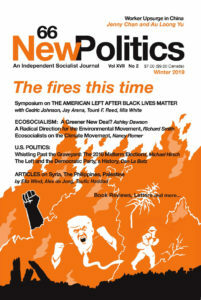 Radical Left organizations in Europe have tended to focus their attention on the major political and electoral experiences that have stood out in the recent period – beginning with Syriza in Greece, Podemos in the Spanish State and the Left Bloc in Portugal, and often also including Die Linke in Germany, Rifondazione Comunista in Italy, the Red-Green Alliance in Denmark (RGA) and others. This is entirely justified. Still, other attempts at “doing something new” merit analysis, even where their successes were fewer or shorter-lived. They provide food for thought about a broader range of national contexts. Two French Islamist gunmen of Algerian descent entered a newspaper office in Paris a year ago today and gunned down a generation of Europe’s greatest political cartoonists – many from an anarchist, anti-racist tradition – along with their co-workers and those protecting them, who also included people of Algerian descent. In case anyone is confused about the politics of this – it was a far right attack on the left. An international coalition of NGOs, civil society groups and political figures such as Naomi Klein and Susan George have called on the French president to lift the ban on protests during the COP 21 climate talks in Paris, which began on November 30th. Following November’s terror attacks in Paris, the French government has imposed a temporary state of emergency that has prevented any protests from taking place in France. 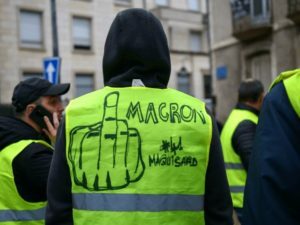 The local coaltion of NGOs and trade unions in in France, Climat 21, had planned a series of protests in Paris before, during and at the end of the climate talks which have now been banned.